When customers started asking for a “better bagel” that fit their lifestyles, we created the Smart Bagel™. They’re thinner than a traditional bagel, so there is a better balance of bread and filling. But we’ve kept the best part, the golden crust, and boil and bake them to perfection. With 0g Trans Fat and 0mg Cholesterol and only 100 calories, they are both healthy and convenient for breakfast, lunch or afternoon snacking. Toufayan Smart Bagels™ come in four great tasting varieties including Plain, Everything, Wheat, and Cinnamon Raisin. The 2 times I’ve bought your smart bagels (what a smart idea!) was at Aron’s Kissena Farms in Flushing NY. But I can’t find them again, presume they sell out very quickly or they didn’t order them again? Where can I buy them near zipcode 11367? There are a number of grocers in your area that carry Smart Bagels™, including D’Agastinos, Fairway and king Kullen. You can use our store finder for more details. Please ask your favorite grocer to add Smart Bagels™ to their inventories. You can ask them to call 1-800-328-7482 or visit our contact page. I started buying the wheat Smart Bagels at my local Sprouts in Encinitas, CA after Oroweat changed my long-time staple sandwich thins to something bigger and not so thin anymore. I am now a convert to Toufayan! However, my last bag of Smart Bagels was missing half of one of the bagels. Does this happen often? We appreciate your feedback. We’ll share your story with our Quality Control staff. I’ve never heard of missing Smart Bagels in one of our packages. Any additional information you could give us, such as the store you purchased them from or the date of purchase, would be appreciated. What is the enzyme listed in the ingredients list of your smart bagel? Thanks for your interest, Kay. You must be referencing L-cysteine (dough conditioner). We’ve heard that there were some strange rumors about this amino acid, so let’s set the record straight. Cysteine is naturally found in most high-protein foods, including pork, poultry, beef, eggs, dairy and in various plant sources such as red peppers, garlic, onions, oats, granola and wheat germ. Cysteine’s reaction with sugars is responsible for the flavors in cooked meats. L-cysteine is used as a processing aid for baking. We use microbial derived or synthetic L-cysteine for our recipes. Ingredients: Enriched wheat flour, water, cellulose fiber, wheat gluten, polydextrose, yeast, sugar, malted barley flour, salt and less than 2% of each: mono- and diglycerides, calcium propionate (to maintain freshness), ascorbic acid, L-cysteine, citric acid, maltodextrin, algin, soy lecithin. Thank you and please feel free to ask any other questions you might have. I’ve written you THREE times with the same Question: WHERE IN MANHATTAN, NY ( a rather LARGE city) can I locate Toufayan Smartbagels? A huge grocery chain (Fairway) used to carry them and STOPPED. For no discernible reason. They can’t explain it either. The product (Smartbagels) is great but in this huge city… where are they?? Thanks again for your interest in our Smart Bagels. We’re sorry you’re having a hard time finding them in your area. Please try D’agastinos, Fairway, Foodtown, Gristedes, King Kullen, or Acme. As we said in response to your previous comment, each store manager may choose to stock different varieties. Please ask your favorite grocer to add Smart Bagels to their inventory. If you still have trouble, please contact us directly at info@toufayan.com and provide your preferred contact method. 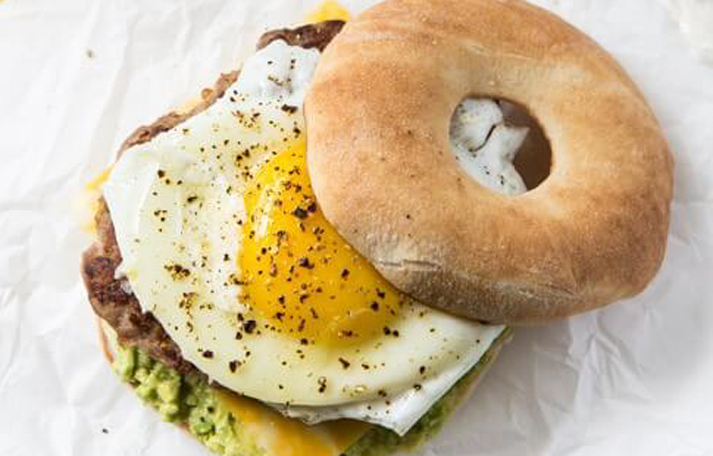 WHERE IN MANHATTAN, NY can I BUY Smart Bagels? WHERE??? They are no where to be found. WHY?? Thank you for your interest in Toufayan Smart Bagels! Please ask your favorite grocer to add Toufayan Smart Bagels to their inventories or to contact us directly. You may also find stores in your area that carry Toufayan products on our where to buy page. From there you can click on your state to see a list of stores that are part of our distributor’s reach. It is up to each individual store manager to stock Toufayan products or not, but those grocers listed on our where to buy page already have the availability to stock our products. Hi! Are the Smart Bagels Cinnamon Raisin available in Puerto Rico? Hello Andrea and thank you for your interest. There are a number of grocers in your area that carry our products. Foodtown and ShopRite both carry Toufayan Smart Bagels™ in Pennsylvania. You can use our store finder for more details. Let us know if you still can’t find them or if you have any questions. I bought these bagels – the everything bagels at Sprouts about a week ago and loved them, especially the calories, but when I went back to buy some more, they were no longer selling them – they seem to replace them with Oroweat Sandwich Thins. At least that was all I could find. Do you no longer sell to Sprouts anymore? The store I purchase from is in Monrovia, CA. Hello Kazy and thanks for your endorsement. Sprouts still carries our Smart Bagels™, however each store may choose to carry different varieties and products. Please ask your store manager to stock the Smart Bagels™ again. You might also try other Sprouts stores in your area or Albertsons. Let us know if you still have trouble finding them, or where you do find Smart Bagels™ in your area. Can you tell me where I can purchase your Smart Bagels in Santa Monica, CA? You can find Toufayan Smart Bagels® in California at Albertsons and at Sprouts Farmers Market. Please ask your grocer to add your favorite Toufayan products to their inventories. To help ensure our our bagels and other products are as fresh as possible when you receive them, we ship them frozen. Each case indicates the shelf life from the date of thawing, and the recommended thawing procedures for your supermarket. The grocer should mark each package as they place them on the sales floor. For Smart Bagels™ the mark is typically stamped or added as a sticker to the face of the packaging, they should be marked with a shelf life of ten days from the day of defrost. Can you help us by letting us know the name of your supermarket and its store number or address? We can have a representative contact them directly and work with them to make sure that these products are coded and handled properly. Your grocer can contact us at info@toufayan.com, or at 800-328-7482. Loved the smart bagel. I had them while visiting a friend in Texas. Where can I get these in Santa Barbara, California? Hello Susan and thank you! You can find our Smart Bagels™ in Albertsons (check Goleta on Calle Real or Holister Avenue, or in Carpinteria on Casitas Pass Road) or in Sprouts Farmer’s Market (try Thousand Oaks on Hillcrest Drive or Westlake Village on Westlake Boulevard). Or, use our store finder to find other stores in your area. This has been occurring continuously and the product is very expensive. What could the issue be???? Hello Karen, we do not have Superpharm on our availability list. Most likely, your local grocer is purchasing the Smart Bagels through a third party distributor and is either refreezing them for transport or shipping the bagels after they have been coded for sale. In either case the shelf-life is reduced by this transport time. We suggest you talk to your grocer about this issue. The third party shipping and redistribution is most likely also the reason for the higher price, as they are probably being purchased at retail price and then marked up to cover shipping to Trinidad. If your grocer is interested in purchasing our products direct from Toufayan Bakeries, please ask them to contact us at info@toufayan.com.